Are your credit card bills getting out of control? Are creditors charging you late fees and penalty charges? If you're not able to make payments on your credit cards and other bills in Illinois, you should try an Illinois debt consolidation program or loan in order to get out of debt. Illinois debt consolidation program - How does it work? This type of program is offered by an Illinois consolidation company. When you approach the company for help to manage your bills, they'll ask you to attend a free counseling session. In this session, a company representative will analyze your finances. Based on your situation, the company will offer you an Illinois debt consolidation program or help you to settle the debt. With an Illinois consolidation program, you can repay your obligations within 4-6 years. If you continue with the regular repayments, it will take longer. What are the types of Illinois consolidation programs? program helps you to consolidate payday loans and avoid paying high interest charges. This enables you to consolidate several medical bills into a single monthly payment that you can afford. How does an Illinois debt consolidation loan help you? Unsecured consolidation loans are personal loans offered by financial institutions. With an Illinois debt consolidation loan, you can repay your bills with one large payment. Consolidation loans are available at low interest rates, but the term of the loan is quite long. So you will end up paying more in interest over the life of the loan. What is Chicago debt consolidation all about? Chicago consolidation solutions include both debt management programs and consolidation loans. With Chicago consolidation options, you get reduced interest rates on your bills and can roll over multiple bills into one manageable payment each month. However, Chicago consolidation companies are likely to charge you a different amount of fee in comparison to the charges required by debt relief companies in other states. How does Chicago, Illinois debt settlement help? Scenario At this moment, 6 creditors are asking me to pay for bills that are nearly 30 days due. So far, I haven't given any reply or returned their calls. But, I've decided to work with a BK in Naperville, IL and put my creditors on a retainer before speaking to them directly. Meanwhile, I wanted to find out whether or not someone here has any experience regarding creditors knocking at your door or talking to your neighbor to catch-up with you? If yes, then how long you didn't make the payments while you've eluded their calls before they came to your door knocking for payments? However, make sure you've paid off your debts or else your creditors can take you to court. FAQ on consolidation and settlement in Chicago, Illinois? I want to get a few accounts off my credit report. I missed payments on several of my debts, and now I'm getting calls from creditors and CAs about obligations I'm not sure I owe. What should I do? Will Chicago debt consolidation help? Ans:The first thing that you should do is ask the creditors and collection agencies to validate or prove that you owe the money. Validation will help you to find out you owe the debt that the creditors and CA have asked you to pay. If it turns out that you owe the money, then you can take help from a Chicago consolidation company and repay your bills within a short time span. I've missed payments on my student loan taken out in 1994. A few days back I got a call from someone asking me to pay off the bills. The lady also threatened to garnish my wages if I didn't pay. I've just missed a few payments because I lost my job. Now that I have a new job, I'd like to pay off the loan but in small repayments. Can Illinois debt consolidation loan help? I have 8 installment loans and credit card bills in Illinois. Recently collection agencies have started calling me because I've been unable to make payments on some of the bills. I am afraid they may call my workplace and harass me. I know it is my fault and I've been trying to pay as much as possible. What should I do? Can an Illinois consolidation or settlement company help? I had several cc charge-offs in late 1990's. Since then I haven't made payments on the accounts. In the past few days, I'm getting collection calls about payments on the charged-off accounts. Do I need to pay? What is the SOL for cc bills in Chicago, Illinois? Can Chicago consolidation companies help? 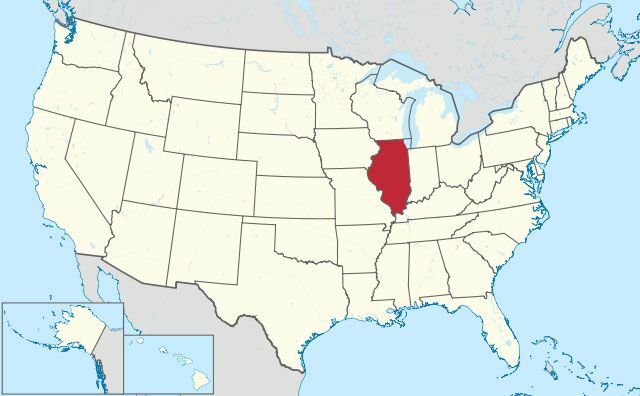 Ans:The SOL for closed cc bills is 10 years in Illinois. If the SOL has expired, then the creditor or collection agency cannot sue you for the debt. If you come to an agreement with the creditor or CA and breach that agreement, the SOL will restart. If you can't manage all the accounts separately, you may consolidate them into a single payment per month. It is better to contact Chicago consolidation companies and get their help in consolidating your cc bills. These companies negotiate with creditors and collection agencies to reduce high interest rates. This will enable you to pay off all your bills with lower monthly payments.